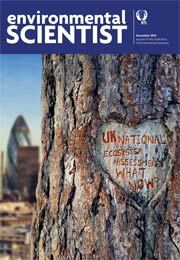 The UK National Ecosystem Assessment: what now? This issue of environmental SCIENTIST summarises the scope and outcomes of the UK National Ecosystem Assessment and the subsequent Follow-on report. The overall UK NEA programme has made a promising start, one that is incumbent on all of us now to advance to secure future wellbeing.